All-natural herbal gel cleanser with a refreshing citrus fragrance that foams and lathers for the ultimate clean feeling. Well suited for all skin types. Highly effective for people with sensitive, rosacea and more irritated skin types as it won’t strip your skin. Your skin will feel refreshed, clean and balanced. 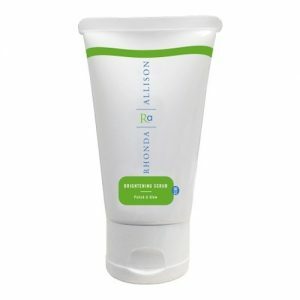 Foaming cleanser that rids skin of impurities. Leaves behind a clean, refreshed complexion. Provides a pleasant scent for an added experience for your senses. Includes natural ingredients such as shea butter and several essential oils. Provides antibacterial and antiseptic properties. Provides calming and soothing effects. HOW TO USE: To apply the Rhonda Allison Citrus Gel Cleanser, take a small amount of the product into the palm of your damp hands. Continue to massage the product into the skin of the entire facial and neck areas. Work the product into a lather and continue to massage for a couple of minutes. Once finished, simply rinse away the residue and pat sin dry with a soft cloth. If you are male, this product can be applied before a shave. Lichen Succinate: A mild emulsifier and water free natural emollient and preservative. Shea Butter: A natural fat taken from the fruit of the Karite tree. Helps to protect the skin from dehydration. Essential Oils: Orange, ylang ylang, tangerine, grapefruit, lemon, and also mint essential oils can be found in this product. These essential oils are antispasmodic, antibacterial, and antiseptic that provide balancing and soothing results. The Rhonda Allison Citrus Gel Cleanser is a foaming cleanser that works to rid the skin of dirt and buildup for a clean, refreshed complexion. The cleanser is formulated with natural ingredients, and contains herbal ingredients that give this product a unique experience for the senses as well. It is suitable for use of all different skin types and provides numerous benefits. For example, the cleanser contains shea butter, which provides the skin with rich hydration for a softer texture and feel. The cleanser also includes several essential oils that provide antibacterial and antiseptic properties as well as soothing and calming effects for both the skin and senses.